We all need self storage in our life at some point or another, they’re cheap, reliable, and most importantly, they’re safe. Not many of us have the luxury of being able to store all of our worldly belongings in our attics or basements, especially if you have a tendency for buying larger items that fill up space fast. Here are the five most common reasons that people use self storage, and why you should too. Moving house is often one of the most stressful days of your adult life. Many people choose to make this day a lot easier by packing up their least used possessions and keeping them in a self-storage unit so as to make the whole process run as smoothly as possible. No matter whether you are upgrading to a fancy new mansion or downsizing in to something a bit snugger, self storage is a must. You’ve landed your dream house, but now you have to fill it up with everything that’s going to make it a home. Whilst you’re busy decorating and refurbishing your house to make it perfect, you’re going to need somewhere to put all of your beautiful belongings so that they don’t get damaged in the renovation! Many people turn to self storage to keep their belongings safe and secure until this process is complete. You’ve finally booked your ticket to South America to follow the gringo trail on an adventure to find inner-tranquillity, but you’ve nowhere to put any of your furniture or unused clothes until you return. 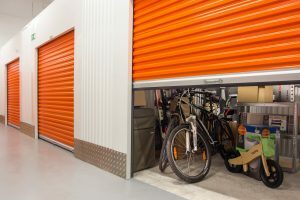 Self-storage units are often used by travellers as a safe space to leave all their unused belongings until they are back and ready to settle down in one place again. Some companies also give you the option of having ‘assisted-packing’ which saves you the trouble of having to keep moving everything back and forth from your car, they bring your storage unit to you! We’ve all been there, it’s your last day of living in halls when you suddenly realise you’ve got twelve plates, one George Foreman grill, six pillows and a massive king-sized duvet and no-way of fitting it all in back home, never mind actually getting it there. Many students overcome this problem by investing in a small storage space over the summer to keep their university possessions until they are ready to reclaim them in September. Many of these are from London but costs centrally are always high. It is often better to use a company on the fringes of London like Matthew James in Dartford. Self storage in Dartford by Matthew James is a great choice for price, location and attention to detail. There will always be someone at hand to keep your belongings safe. Losing a family member is an emotional time for everyone. The last thing you want to be worrying about is where to find space for your loved ones belongings and you definitely don’t want to throw anything away so soon after it has happened. By hiring a self storage space, you can give yourself as much time as you need before you feel the time is right to start thinking about looking through their things.